1. Finely chop one cup of coconut flakes and the sunflower seeds, blitz the frozen banana and lemon juice. 2. Place all ingredients in a bowl and add the almond meal, coffee and cacao powder. Mix to form a sticky but not wet mixture. 3. Place in fridge for 1 hour. 4. 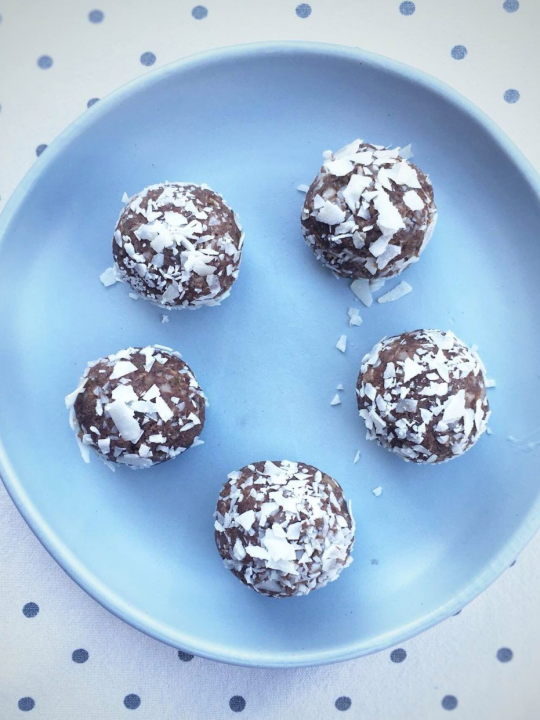 Remove from the fridge and roll into walnut sized balls using a little coconut oil to prevent the mixture from sticking to hands. 5. Roll the balls in chopped additional coconut flakes if desired. Chill until serving.